The polarity markings on LEDs (Light Emitting Diodes) seem to be a common cause of confusion. The polarity may be indicated by a flat section on one side of the body or by one lead being shorter than the other, but different manufacturers are not consistent as to which lead they are marking! Rectangular and other shaped LEDs often rely on lead lengths as the only indication, which is not very helpful if the component has been used previously and the leads shortened. Sometimes you can peer at the innards through the casing and establish the polarity from this, but you still have to remember which bit is which electrode - and some LEDs do not have see-through bodies. The connections of LED displays can be particularly difficult to establish - especially those with several digits. You could connect the LED to a battery via a suitable resistor, but this can be fiddley and is not much help with infra-red devices. Also the maximum rated reverse voltage for an LED is about 4V, so you could damage it if you are using a 9V battery for testing. 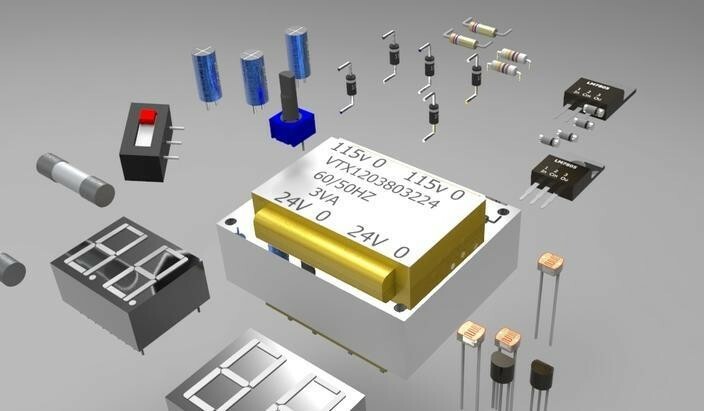 The simple Diode and LED Tester presented here costs under £5 to build (including all components, the battery and a cheap case) and will indicate the polarity of almost all types of LED and other diodes with no risk of damage. The average test current is about 5mA (10mA pulses), which is sufficient to illuminate the LED being tested. The unit has two test probes and two indicator LEDs. The diode or LED to be tested is simply connected either way round between the test probes, and the cathode connection is indicated by the LED closest to that connection illuminating. My original prototype has been used regularly for several years, and has saved me a lot of time and irritation. The unit can be used to test all conventional LEDs including the multi-colour types and IR devices. The only types of LED that cannot be tested are those containing additional circuitry, such as the flashing and constant-current types. It can also be used to check most silicon and germanium diodes and rectifiers providing they can withstand a test current of 10mA. Zener diodes can be tested for forward drop but not for zener effect, although this is sufficient to prove if they are alive or dead. The unit can also be used for basic diode tests on bipolar transistors, although the test current may be too high for the base connection of some devices. The circuit was designed to be simple and low cost. A simple transistor circuit was used because the components (or suitable alternatives) are more likely to be in the constructors "junk box". A brief discussion of the IC based alternatives that could have been used is given later. The circuit consists of a standard two transistor astable multivibrator arrangement, the operation of which will be described shortly. The outputs on the collectors of the two transistors are a square wave signal of about 200Hz. The two outputs are out of phase with each other - when one output is high the other is low and vice-versa. Between these two outputs are connected two LEDs (D1 and D2), back-to-back, with series diodes (D3 and D4) to increase the forward voltage drop. When Q1 is on and Q2 is off, current flows through D2, causing it to illuminate - the current being limited to about 10mA by R4. When Q1 is off and Q2 is on, D1 illuminates. Although the LEDs are flashing, the 200Hz rate is sufficiently fast that they both appear to be continuously illuminated. Since the test current is 10mA for 50% of the time, the average is 5mA. When the diode to be tested is connected between TP1 and TP2 it will bypass either D1 or D2 depending on the polarity. The test current will therefore flow through the diode being tested instead of through the bypassed LED on the unit. The series diodes (D3 and D4) ensure that the voltage drop of D1 and D2 are greater than the forward drop of any diode being tested. When the diode being tested is reverse biased the remaining LED on the unit will illuminate. The diode being tested receives a reverse voltage of about 2.5V (1.9V from the LED plus 0.6V from the series diode) which is insufficient to cause damage. If the diode being tested was short-circuited neither LED on the unit would light. The astable multivibrator would also stop oscillating in this case, but this is not a problem. If the diode being tested were open-circuit both LEDs on the unit would remain lit.